First as a teen-aged hippie-chick with my guitar then as an operatic soprano, I have never stopped performing. My personal journey has taken me from tiny coffee houses to Carnegie Hall – and everything in between including comedy. This gives me a personal understanding of the many challenges and rewards of standing before an audience, something which I still enjoy. I began producing as well as directing classic musicals and shows as a choral director in a small high school. 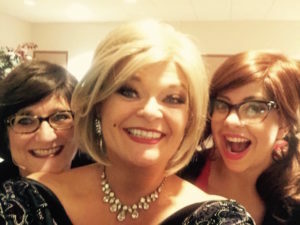 After courses with the Commercial Theatre Institute in New York City, I designed and co-wrote the show Duelling Divas as well as creating the character of “The Baroness.” Duelling Divas toured the country with more than 50 performances in eleven states. 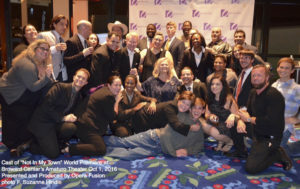 As founder and Executive Director of Opera Fusion, Inc., a Florida non-profit, I spearheaded fundraising and mounted the successful full-production, world premiere of the musical drama Not In My Town at the Broward Center for the Performing Arts in the fall of 2016. I have been fortunate to have taught and mentored many gifted artists who today are enjoying success. 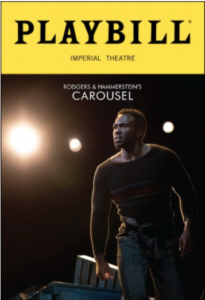 Possibly the best-known of these is three-time Tony Nominee, Joshua Henry, currently playing Billy Bigelow in Carousel in Broadway, who first sang for me nearly 20 years ago and whom I still coach today. But there are many others who have gone on to impressive careers in opera, Broadway and pop music. And today many other performers are building their careers who work with me. 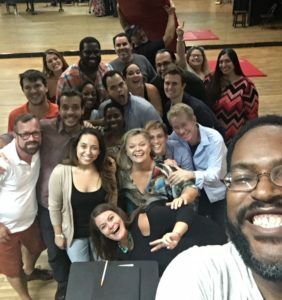 Three years ago, at the suggestion of one of my students, I began Opera Fusion’s “BootCamp,” today known as “The Emerging Artist Project.” Here the best south Florida singers receive top-notch, tuition-free advanced training. I am happy to report that many of our “BootCampers” have gone on to professional companies both in opera and musical theatre.